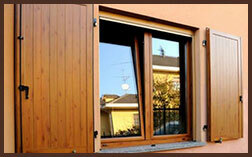 PM serramenti creates traditional shutter systems, to be placed on the external surface of the building, as well as shutters belonging to a new conception, to be placed internally or in suitable predisposed walls. 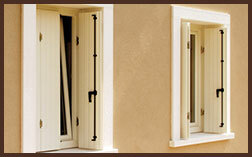 This type of shutter is predisposed to be fastened on the external surface of the building through movements called “cardini”. These cardini can be attached directly on the surface or onto a frame. 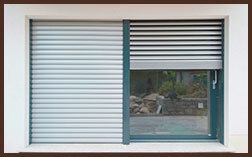 These types of shutters are designed and created with the intention of being packaged in the thickness of the wall. The number of foldable panels is determined by the availability of space. The foldable shutter systems have recently come back on the market, thanks to a particular way in which motorized movement systems have evolved and have been interfaced with home automation systems.